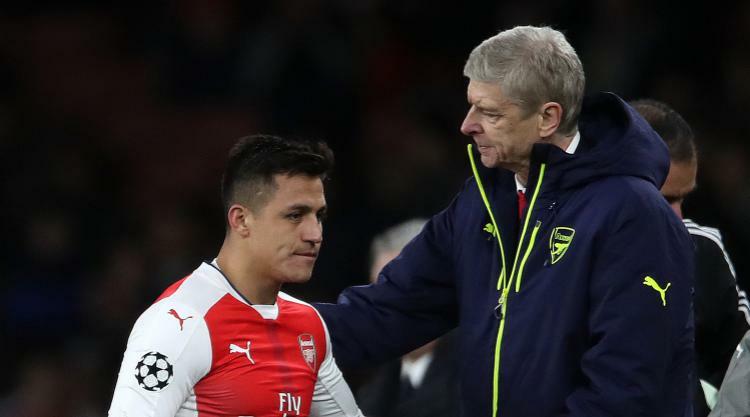 Arsene Wenger believes Alexis Sanchez will be “100 per cent” committed to Arsenal despite the collapse of his proposed deadline-day move to Manchester City – a transfer the Frenchman says “was not very close” to taking place in any case. Sanchez’s future was one of the main talking points heading into the final day of the transfer window on Thursday, with the Chile forward, whose contract with Arsenal runs out next year, having been linked with a move to City throughout the summer. City reportedly made two late offers for Sanchez, including one worth up to £60million, but no transfer was forthcoming as Arsenal failed in their own last-minute attempt to sign Thomas Lemar from Monaco. It is understood Arsenal were only prepared to let Sanchez leave if they managed to recruit a replacement, but when their 11th-hour offer for Lemar – worth a reported club-record Â£92million – failed then they opted to keep hold of last season’s leading scorer. Sanchez will now return to the Gunners to see out the final year of his contract, and Wenger is sure the 28-year-old will continue to give his all for the cause. Wenger also revealed that Sanchez’s proposed transfer to the Etihad was someway off coming to fruition in the end. He said: “It was not very close. I t’s very difficult for me to speak about that because what I want now is the player to focus on his career, on his season and on Arsenal football club. He added of what took place on transfer deadline day: ” I cannot tell you everything that happened because after when you decide to let a player of that calibre go you need to replace him, because nobody would understand why you let the player go. “And when you cannot do it you keep the player and make a financial sacrifice, because at the end of the day what you want is to have a team with a good potential and top quality. Father carrying his kid throws punches during Everton and Lyon brawl.